Is Supreme Court right in making Rafale more urgent over Sabarimala and Ram Mandir? The Supreme Court Wednesday resumed hearing the pleas seeking a court-monitored investigation into the Rafale deal. The top court has deferred the ruling on the Ayodhya title suit case as well as the hearing of review petitions challenging its verdict on Sabarimala to January. 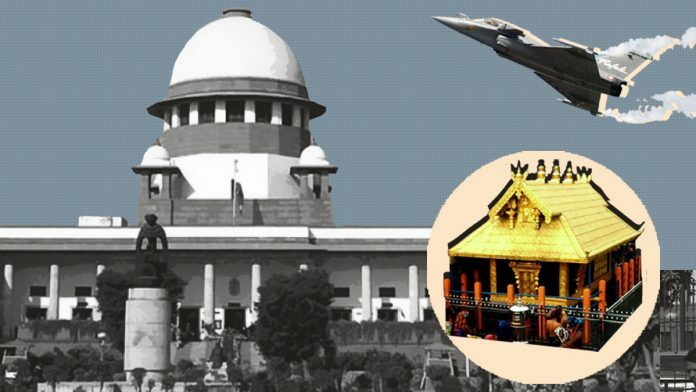 ThePrint asks: Is Supreme Court right in making Rafale more urgent over Sabarimala and Ram Mandir? One is at a complete loss to understand why the Rafale deal should end up before the Supreme Court in the first place. No other Supreme Court in the world delves so deeply into controversies that are essentially political in nature. It does not behove a constitutional Court. After Dassault CEO Eric Trappier’s interview, it is clear that no pressure was put on Dassault to choose Reliance as one of its offset partners. There can always be doubts over whether what was negotiated was the correct price and whether the same could have been brought down further. The fact of the matter is that the deal was between two governments and hence, there was no scope for middlemen. Lately, the Indian Supreme Court’s orders have been flouted on numerous occasions. 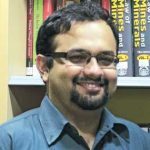 The Sabarimala judgment and the firecracker ban are two examples. On the other hand, the Hon’ble Supreme Court tells the citizens of India that it does not have the time to hear the Ram Mandir issue, which has been hanging fire for eight years as an appeal before the same court. Despite the law and order situation in Kerala spiralling out of control, the Supreme Court is also telling us that it does not have the time to hear the Sabarimala review petitions either. The Hon’ble judges of the Supreme Court could do worse than to keep in mind that ultimately all institutions in this country are answerable to the public and even the enforcement agencies recruit from amongst the ranks of the people of India. Hence, things should not be allowed to reach a pass where the public faith in the legitimacy of the Hon’ble Supreme Court starts eroding. 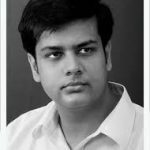 It is not really possible to compare the Sabarimala case and the Rafale case – the only things they have in common are the fact that they are PILs which have been filed in the Supreme Court. Beyond that, the two involve very different issues, seek very different kinds of intervention from the court and are presently in different stages of litigation. In the natural course of things, the case which has still not had judgment should be heard prior to the one which has already concluded for all practical purposes. Of course, these two cases cannot be view purely from the lens of judicial process. Given the positions political parties have taken on the respective matters, the Supreme Court is being called upon not just to decide the legal niceties but also the larger political questions. Did the government act in public interest or for private interest only in the Rafale case? Should majoritarian demands be allowed to trump constitutional rights? The court finds itself in a tricky position – one which it has created itself. Having entertained all and sundry matters through PILs, it can’t very well summarily dismiss the Rafale one. Having allowed its procedure to become a virtual free-for-all, it cannot ignore the enormous pressure being brought to bear in the Sabarimala case. In the absence of a properly functioning legislature (the fault of the legislature itself), the court must reflect on its newfound (and perhaps unwanted) role as the virtual third house of Parliament where important political debates are played out, less as legal battles and more for political showmanship and messaging. This is foremost a matter of discretion of the court and the constitutional benches. If they have made the hearings on the Rafale case allegations a priority, then they know best. We are entering dangerous territories of trying to predict the outcomes of a case even before it has been heard. Each party speaks from what will serve their own political interests. That said, there is no denying that the Rafale case is indeed a matter of great urgency. We need to get a verdict on whether the corruption charges against the deal hold true or not, and if so, who was responsible. The case must not be left in a limbo as it is a matter of national security. 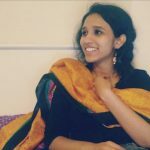 Such a case inherently enjoys far greater priority than a decades-old dispute over Ram Mandir or even the right of women to enter Sabarimala temple for worship. Worship can be deferred; the possible construction of temples can also be deferred. As it is, we have the right to worship in a thousand different ways in several temples. But defence procurement cannot be deferred. Similarly, the internal conflict in the CBI is a matter of great urgency and needs to be resolved soon or the agency will come to a halt—something we cannot afford. This is why the SC is supervising the CVC inquiry on the issue. These are matters which enjoy a far greater relative importance than a verdict on Ram Mandir or reviewing petitions on Sabarimala. From the perspective of the defence sector, the move by the Supreme Court to hold hearings on the Rafale deal could actually clear the air, rather than let polarised political debates shape public perceptions about it. Given the kind of allegations that have flown thick and fast over this deal, and its importance to the Indian Air force, it is understandable why the Court has decided to step in. The Rafale controversy is indubitably a matter of urgent public importance and needs to be sorted out expeditiously in the interests of national security. 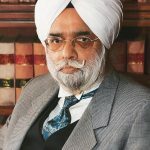 India’s independent judiciary has been a source of strength throughout our decades of independence and needless to say their consideration on the matter can serve to put it to rest, if everything is in order that is. In fact, the government has also got an opportunity to explicate its position and outline the procedural steps followed in this deal. Be that as it may, such situations can only be avoided in the future if greater transparency is introduced into the military acquisition process, which will always be driven by a mix of complex factors. Overall, it is time to decisively move away from military imports and focus on building indigenously developed platforms in serious numbers. Trickle feed ordering of indigenous weapon systems is precisely what leads to a situation where ‘emergency’ imports have to be resorted to. This, as experience has shown, can lead to allegations of corruption and deal-making. Elections in India have been fought and won, for the most part, on divisive and polarising issues that have been concocted to further one bigoted sentiment or another. Advani’s Rath Yatra cannot and must not be forgotten, for it defined an important aspect of Indian politics. Communal issues, appealing to the conservative in all of us, are an oft-used political trope exploited by all parties. 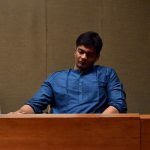 In the 2014 Lok Sabha elections, then in opposition, the BJP attacked the corruption under UPA, but quite evidently didn’t leave any opportunity to make the elections as communally polarising as possible. The Supreme Court must, as it has, use its discretion to ascertain which are the ‘real issues’ that cannot be deferred at any cost. This is not to say that the right of women to enter Sabarimala isn’t one such issue. But the Sabarimala case has already been heard, and a verdict been delivered. With regards to the Ram Mandir matter, several lives were lost when Babri Masjid was demolished and riots broke out, and justice must be done to all those aggrieved as a result. But the ruling on who the land belongs to has been a central poll plank for the BJP, and the SC most definitely doesn’t need to cater to any party’s political ambitions. Of course, Rafale deal will also be used as a political tool by the opposition, albeit not nearly as effective as a communal issue. But if there is any credence to the corruption allegations at all, then they must be heard immediately. Previous articleSC panel wants non-CNG vehicles banned on Delhi’s smog days: Practical or knee-jerk idea? Next articleIs cancelling TM Krishna’s music concert right of organisers or sign of Hindu intolerance? Why NCLT appeal cases wherein crores of public money can be salvages is not de ided with same alacrity. Have shits of the SCtomhear such cases.